Building a water treatment plant for one of Australia’s most remote communities poses a unique set of challenges. But this innovative engineer thought inside the box. 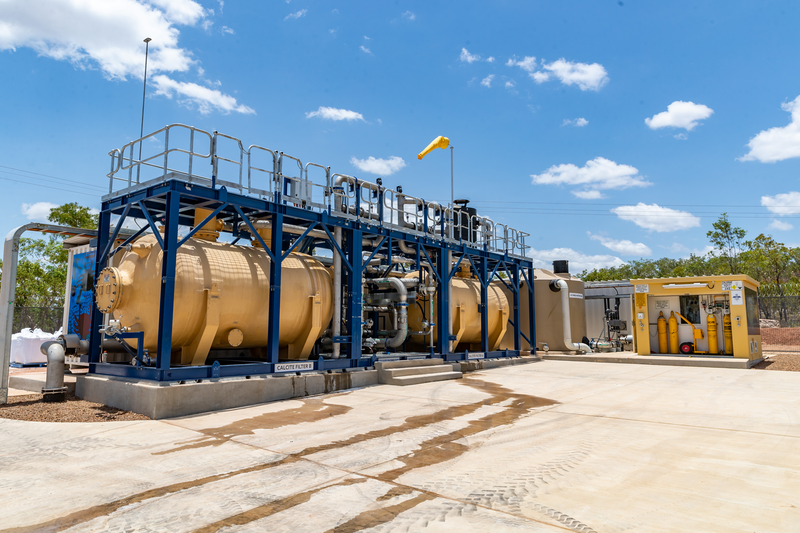 Borroloola, a remote town on the Gulf of Carpentaria in the Northern Territory, was in need of a new water treatment plant after years of wear and tear had taken a toll on its supply infrastructure. The town relies on groundwater, which can be corrosive and damaging to the distribution system pipework, resulting in heavy metals leaching into the drinking water supply. Eric Vanweydeveld, a senior project manager at Power and Water Corporation, was called in to find a solution. Borroloola is about an eight-hour drive from the nearest major centre and is home to fewer than 1000 people, throwing up a range of geographical, climatic and logistical challenges. To work around these factors, Vanweydeveld had to get creative. The solution was a containerised system consisting of five customised shipping containers and one portable concrete building. These housed a water treatment process train to reduce the level of corrosiveness of the water through pH correction. Treatment processes included CO2 removal, remineralisation, chlorine gas dosing and backwash waste management. For his efforts, Vanweydeveld was recognised as one of create‘s Most Innovative Engineers in 2018. To accomplish the build in such a remote location, the design phase was managed entirely through a 3D modelling representation. The model was reviewed and assessed through a series of ‘walk through’ workshops with all team members, including operations, planning, OH&S and environment. This provided the ability to rapidly assess space requirements, accessibility issues and integration of various components through an intuitive visualisation. The 3D model allowed the correction of many issues and design conflicts between disciplines before the construction phase began. When it was time to build, the Borroloola plant was first constructed in Darwin. It was sent to the remote town on a road train, assembled and commissioned onsite. After four months of validation, the system is now connected to the township. For Vanweydeveld, one of the most important parts of the project was the social aspect. He worked extensively with kids from the local school and the arts centre, culminating in an opening of the site in October that was attended by about 100 people. After being nominated to create‘s Most Innovative Engineers list, Vanweydeveld won a prestigious Churchill Fellowship that will see him tour the United Arab Emirates, Oman and Israel. 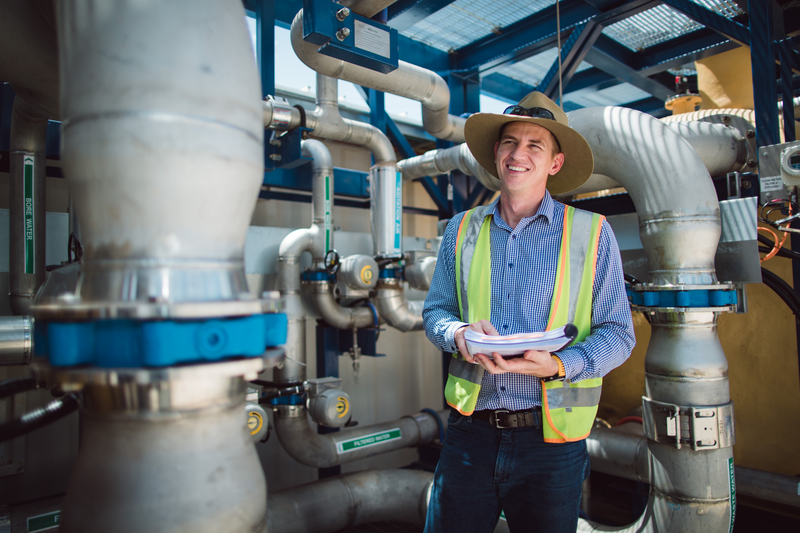 Vanweydeveld was awarded the fellowship to investigate proven, low-cost and innovative water treatment solutions in the Middle East that could be implemented in regional and remote Australia. He was one of 112 people offered the fellowship last year, which aims to reward proven achievement of talented and deserving Australians. He is hoping to investigate technology in the Middle East such as small, packaged desalination plants that run on solar energy. These small units could be deployed in remote areas without the need for a connection to the grid. Another aspect of the trip is looking at how to increase automation and reduce the number of skilled people required to operate water systems in very remote areas. Vanweydeveld said his main goal is to have a positive impact on the broader community by pushing boundaries and providing value. He believes innovation is a broad term used by many people. “But I think in a nutshell … innovation is trying to bring new ideas into the system,” Vanweydeveld said. Are you an innovative engineer? Know someone who is? Nominations are now open for the 2019 list of Most Innovative Engineers. Apply here.